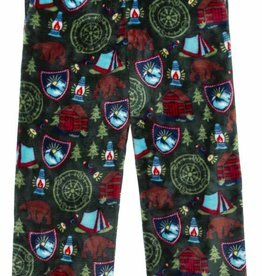 We love these pj's! 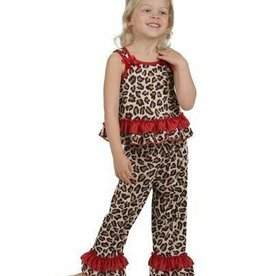 They are simply made with sturdy soft cotton and really fun details like knee patches, graphics and appliques! Washes and wear very well! 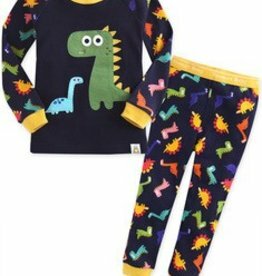 100% 2 pc long sleeved pajamas with elastic waist and cuffed ankles and arms. Crew neck design. Fabulous details that are fun to wear. 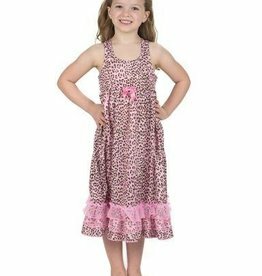 Pink and Tan Leopard Print gown. Print is flame resistant 70 denier polyester. Sheer & solid ruffles are flame resistant 100% nylon.